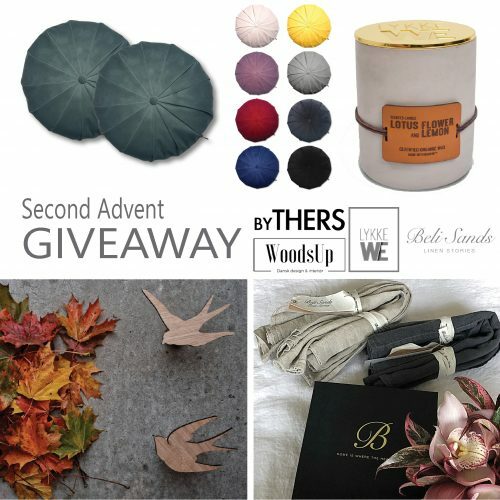 I am so excited to share this years second Advent giveaway with you. There has been put a lot of hard work in it. Here are the 4 prices 😀 Winner takes it all. Enter HERE!!! 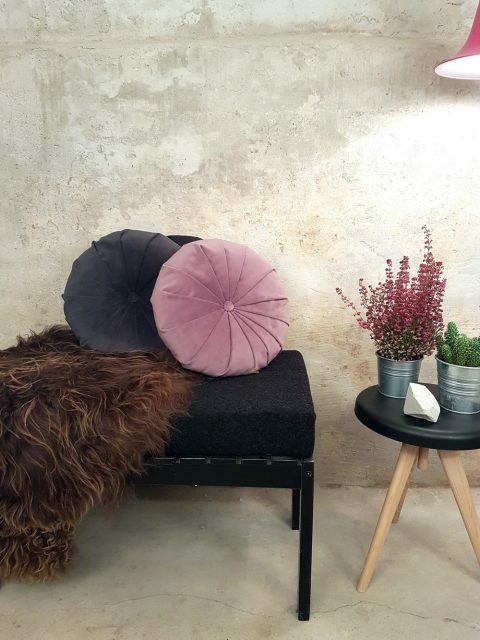 You can win a set of velvet pillows from bythers.dk in one of the nine colours they come in. The soft pillows are part of their new collection which is spot on this falls interior velvet trend. They are handmade in Denmark, filled with natural fluff and are 45 cm wide. 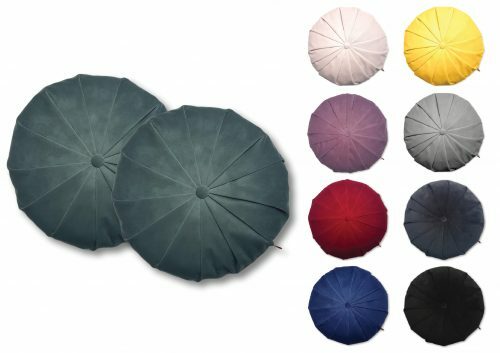 Below you can see all the colours you can choose from. 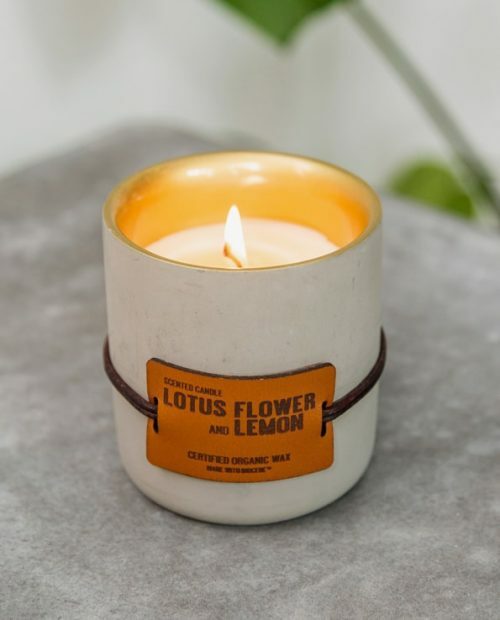 Additionally you can win a lovely scented ecological candle from LykkeWe.dk. Great for these long winther nights! 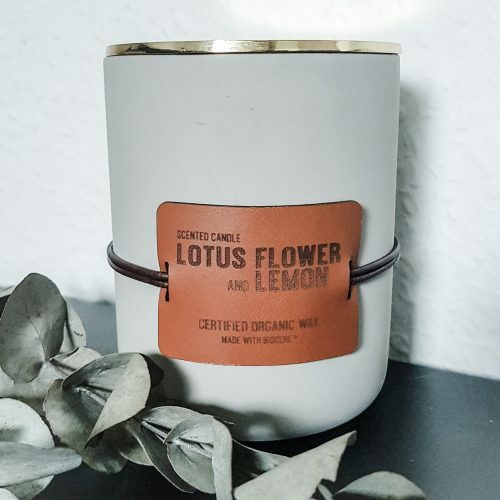 You can read more about the best scented candle, that I have ever tested HERE! And below you can see it in my home. 100% Ecofriendly and produced in Denmark ? Can’t get any better than that. 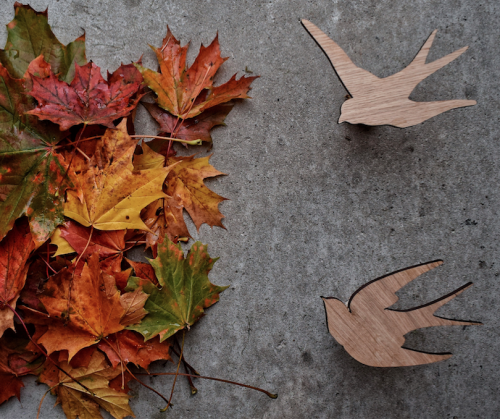 Another beautiful product you can win is the beautiful set of swallow hooks from amazing Woodsup.dk. I have been fortunate to be their ambassador since mid of August. I have enjoyed working a lot with them. They are very innovative, openminded and loving people driving this company that produces their products here in Denmark. Right now they are looking for new ambassadors. So if that’s you, apply here. Last but not least, you can also win this beautiful gift box along with 4 linen Napkins from Belisands. 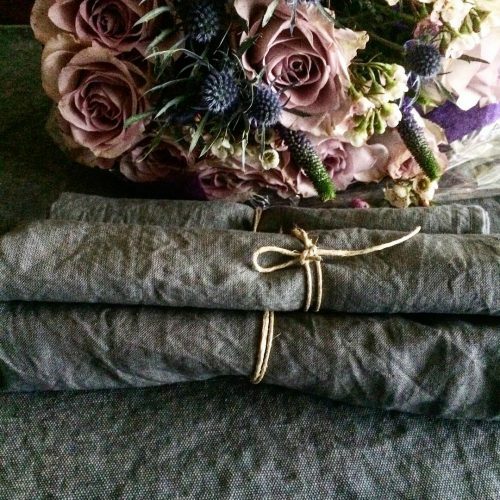 You can choose between grey or natural coloured napkins. Pics below for the colour options. The raw look is achieved, since the 100% linen is pre washed. 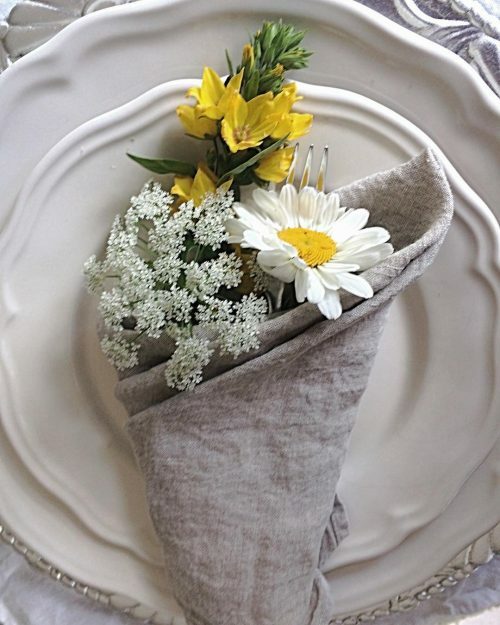 The beautiful table napkins measure 45 x 45 cm. Behind this brand is sweet Belinda, who had a great career in the fashion and textile Industry in India. She moved to Sweden to be with the love of her life. 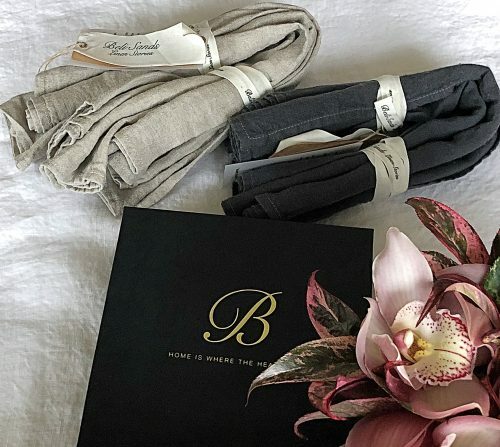 (Home is where the Heart is) With her great knowledge and enthusiasm, she has started Belisands, to create age old linen fabrics that are inspired from nature. And they fit perfectly into every home. I can’t wait to take beautiful pics and share them with you. 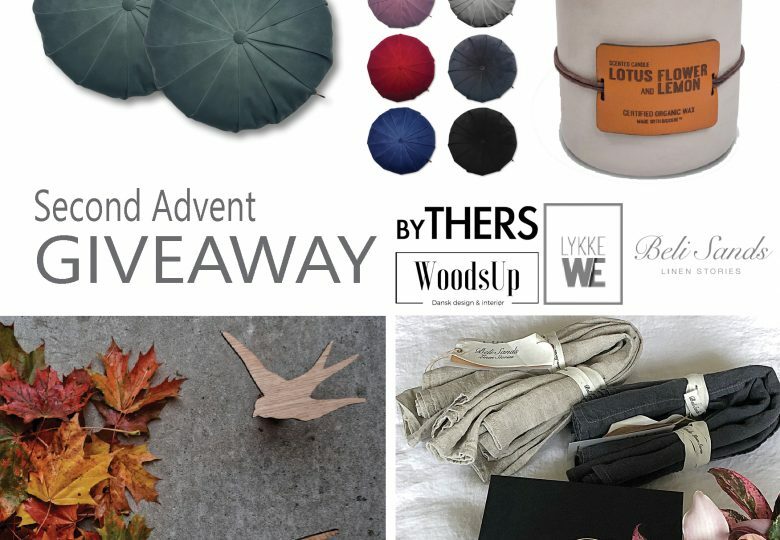 This huge Giveaway is worth 1766 Dkr and starts today, Monday, December 4, and the winner will be found in the evening of the second advent on December 10th. Enter the Giveaway HERE!! !